Powelton Village is a historic neighborhood located in the University City section of West Philadelphia. It is bound by Spring Garden Street to the north, Market Street to the south, 32nd Street to the east, and 44th Street to the West. 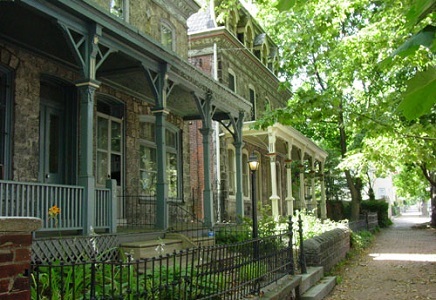 Powelton Village is comprised of historic Victorian homes that sit among tree-lined streets. Along the neighborhood’s Spring Garden boundary, residents can enjoy a view of the Art Museum of Philadelphia and the city skyline across the Schuylkill River. Fairmount Park and the Philadelphia Zoo are located within walking distance of the neighborhood. The campus of Drexel University borders Powelton Village, making it the ideal neighborhood for faculty and staff. The median sales price for a home in Powelton Village is $325,000 with a price per square foot of $237. The median rent per month is $3,150.